Yes – we do love sunshine, sand, jandals, dripping double-scoop ice creams, blue skies and frequent dips into pools, lakes and seas. 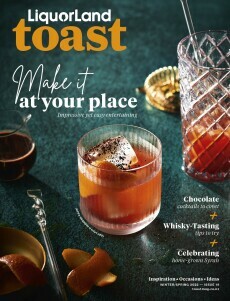 But at Toast, we also believe one of the real highlights of the sunny season is the chance to play around with creating gorgeous summer drinks. We did some playing around of our own and discovered when you take a delectable cocktail and turn it into a frozen treat, some very, very good things can happen. We’ve created six lip-smacking boozy popsicle recipes below for you to have fun with this summer. Pour all ingredients except raspberries into a large jug and gently stir to combine. Drop raspberries (2–3) in each popsicle mould and top with liquid from jug. Freeze for an hour until slightly frozen, then insert popsicle sticks and freeze for a further 5 hours. Drop cucumber slices into moulds. In a jug, whisk together remaining ingredients, then pour over cucumber in moulds. Freeze for an hour until slightly frozen, then insert popsicle sticks and freeze for a further 5 hours. Whisk together milk, cream, cocoa, sugar and brandy in a large jug. Sprinkle chocolate chips evenly into the bottom of the popsicle moulds and top with liquid from jug. Freeze for an hour until slightly frozen, then insert popsicle sticks and freeze for a further 5 hours. Scrape vanilla seeds into a bowl. Add sugar, pour in Malibu Rum and coconut cream and gently stir to combine. Pour into popsicle moulds. Freeze for an hour until slightly frozen, then insert popsicle sticks and freeze for a further 5 hours.